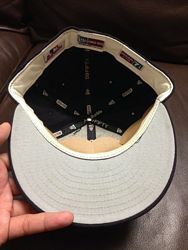 Home white and grey road caps both have rings. 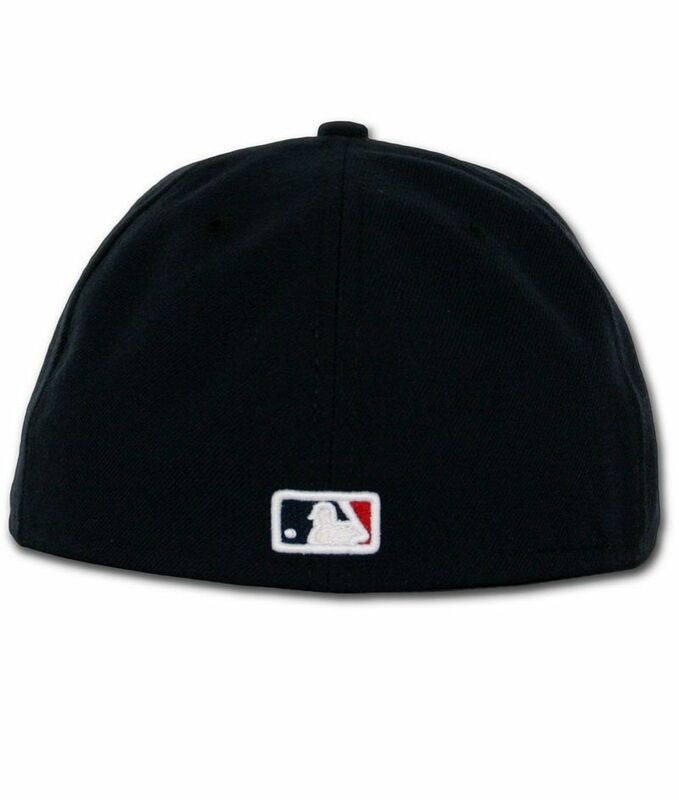 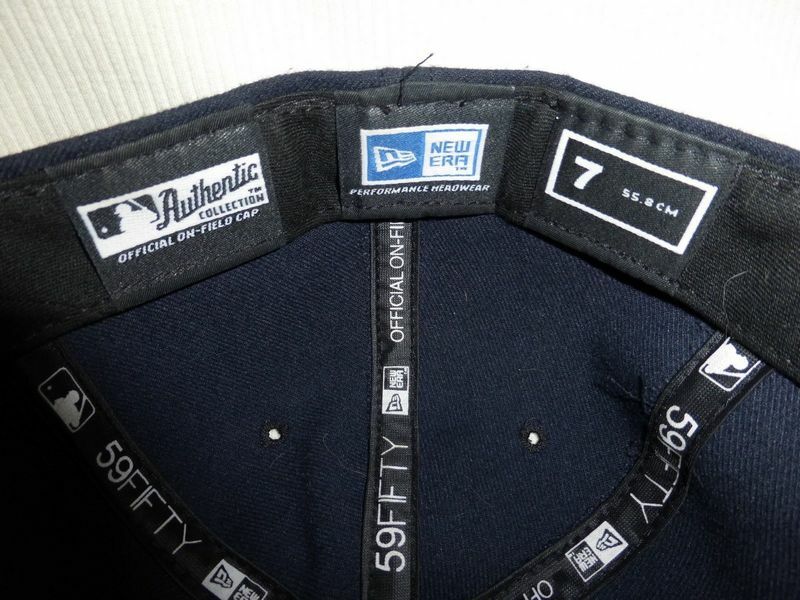 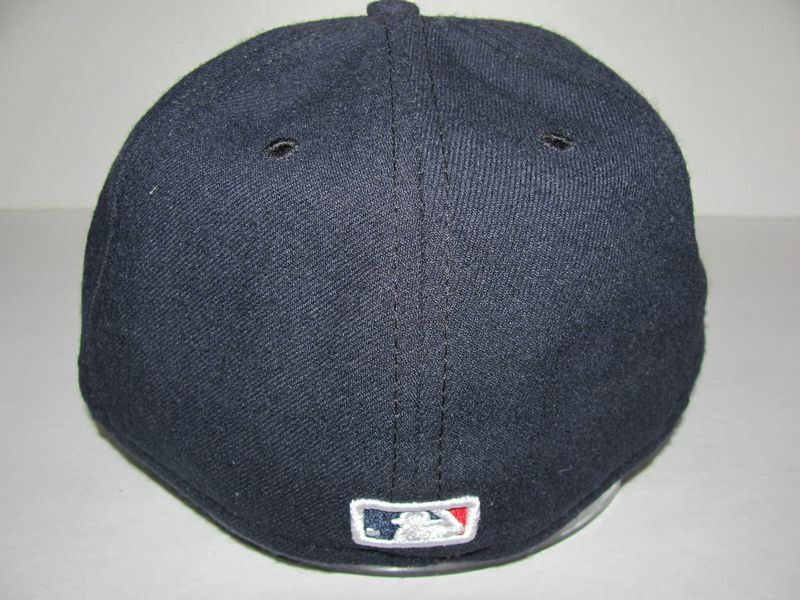 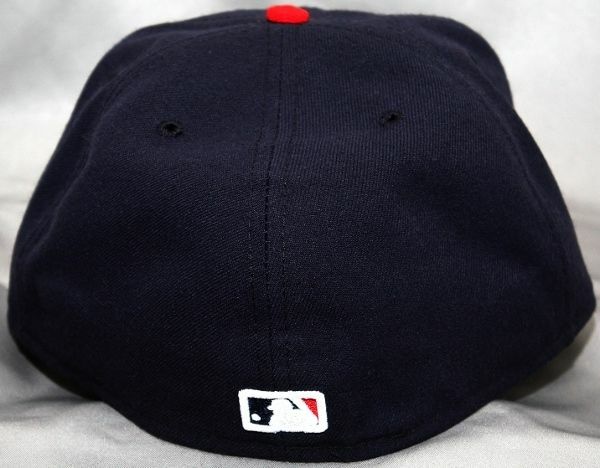 Road cap is solid navy. 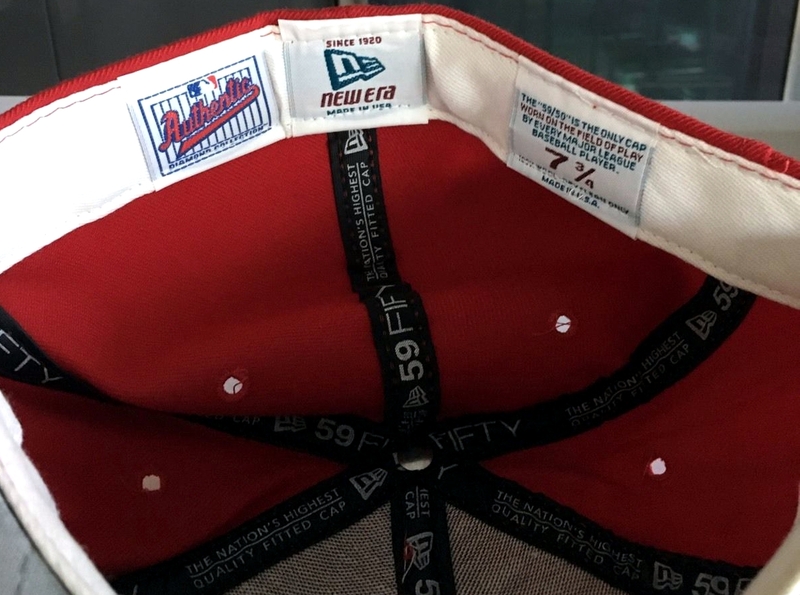 Home cap is white with one ring, road cap is solid grey. 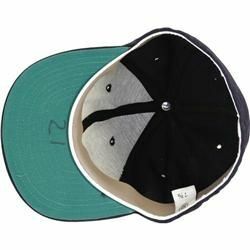 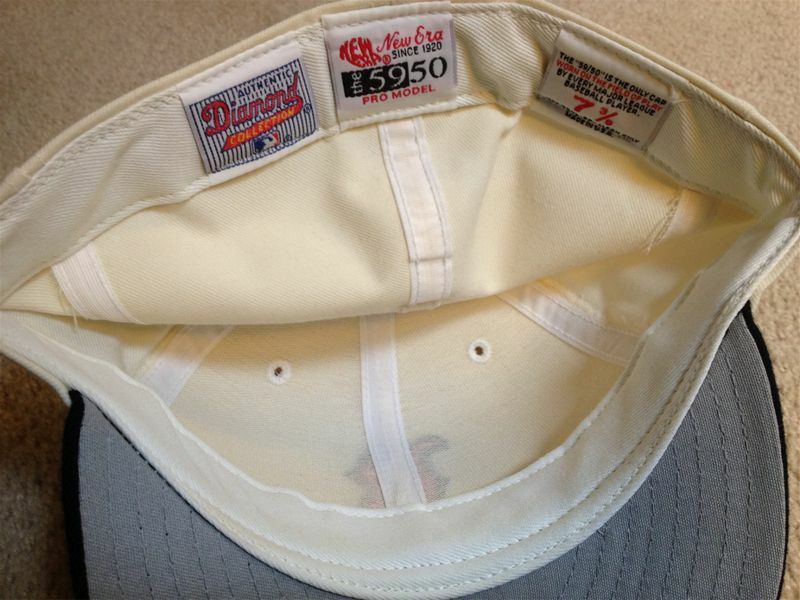 Home cap is solid white, road cap solid grey. 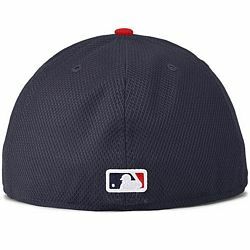 Main color changes from navy to red. 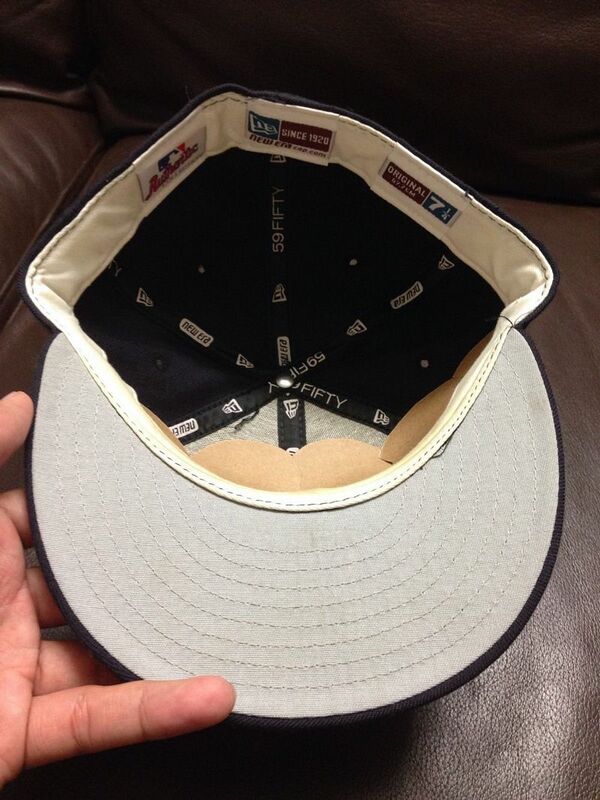 Home cap is solid white, road cap solid grey. Pinstripes added to both caps. 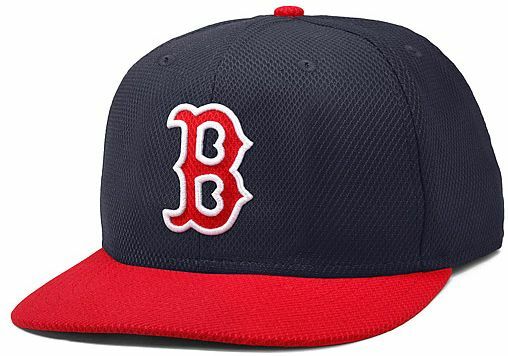 Road stripes are more numerous. Road cap returns to solid grey. 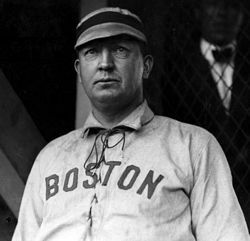 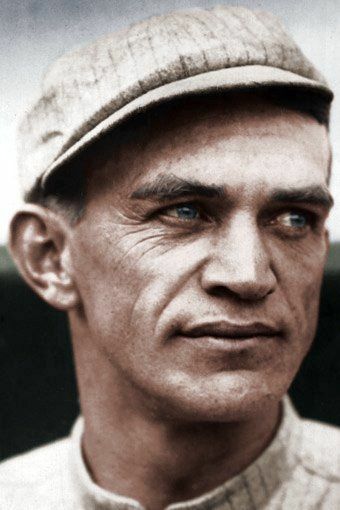 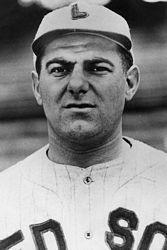 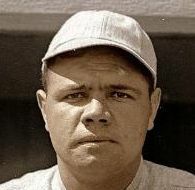 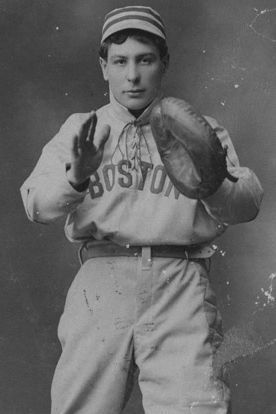 Pinstripes added to road jersey and caps in 1915, and removed from home jerseys and caps during 1915. Home cap and jersey are solid white, road solid grey. 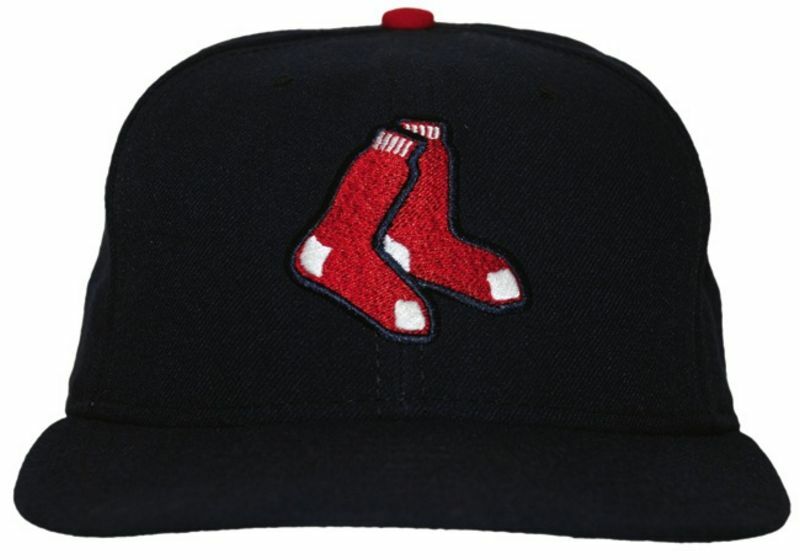 Red sock logo on caps. 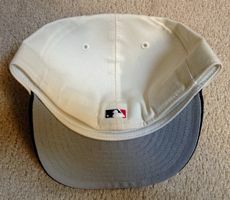 Plain white home, grey road. 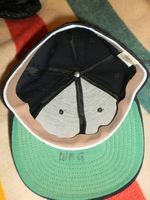 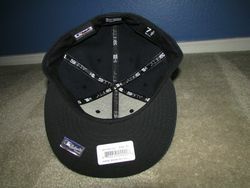 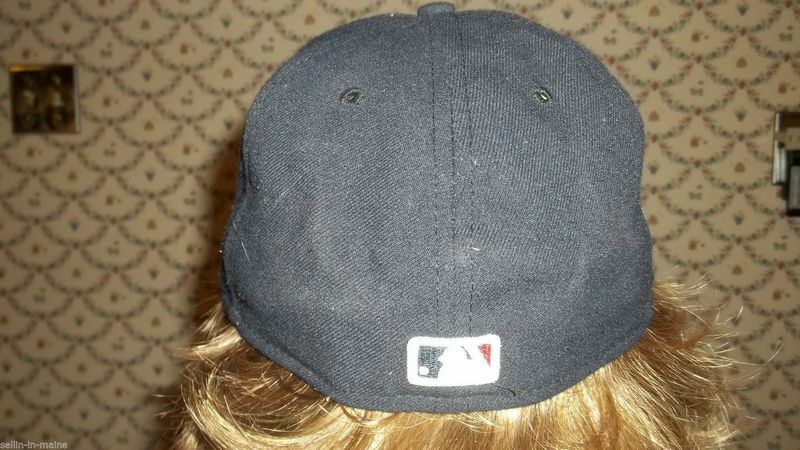 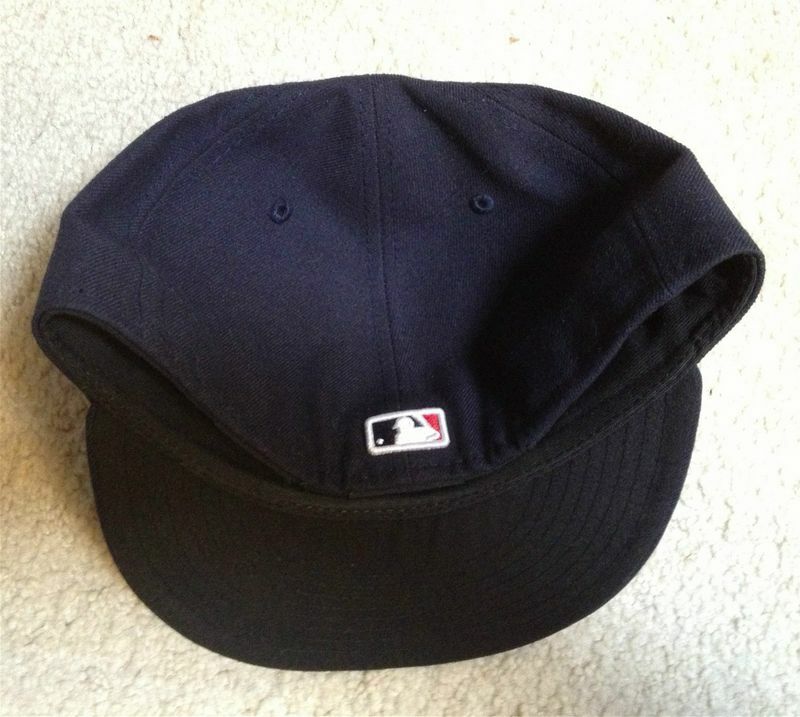 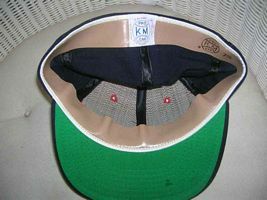 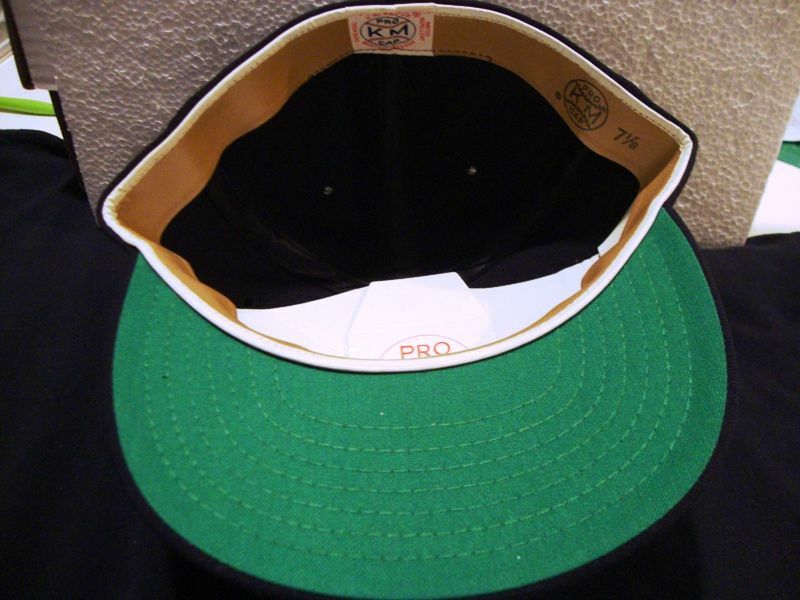 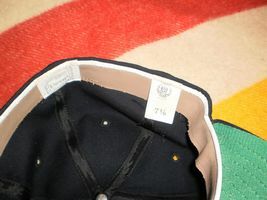 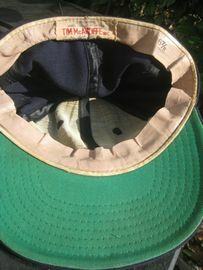 Navy cap with a block B. 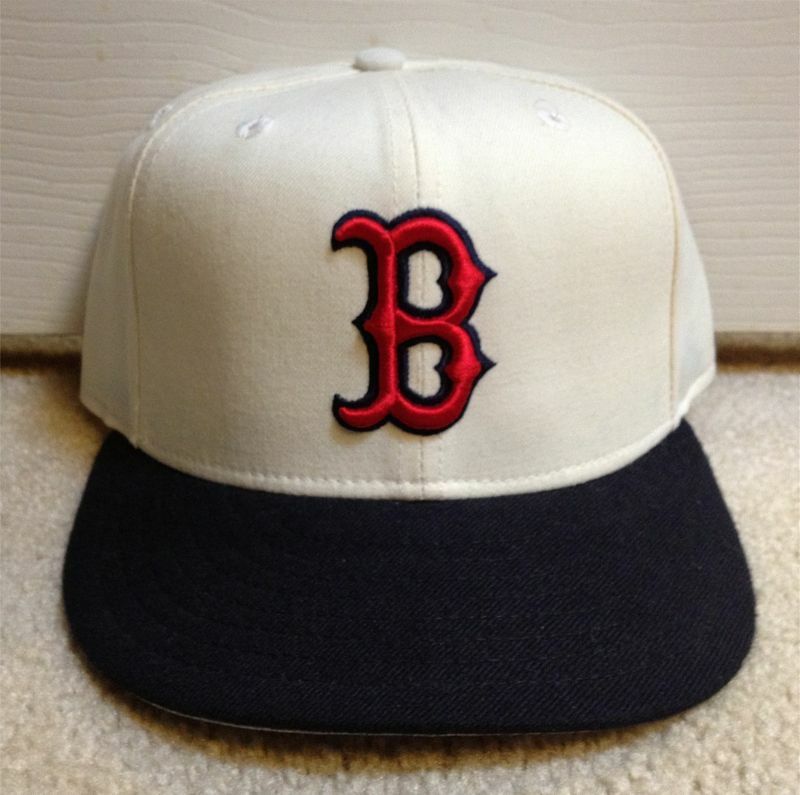 Wide B with white trim. 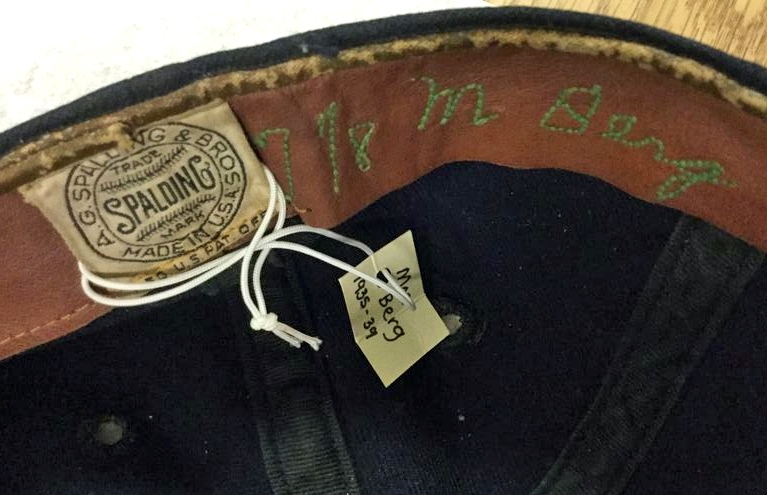 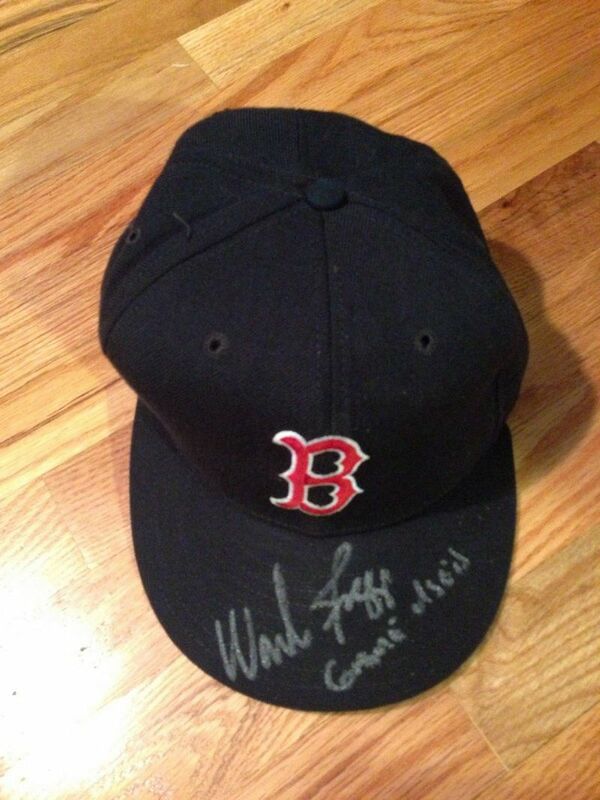 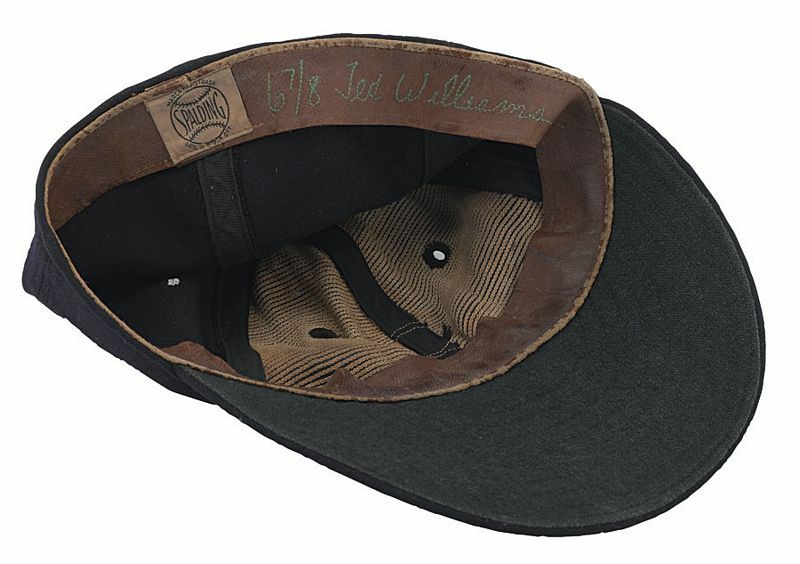 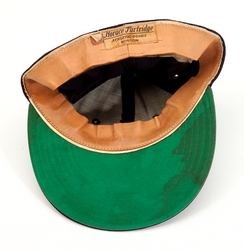 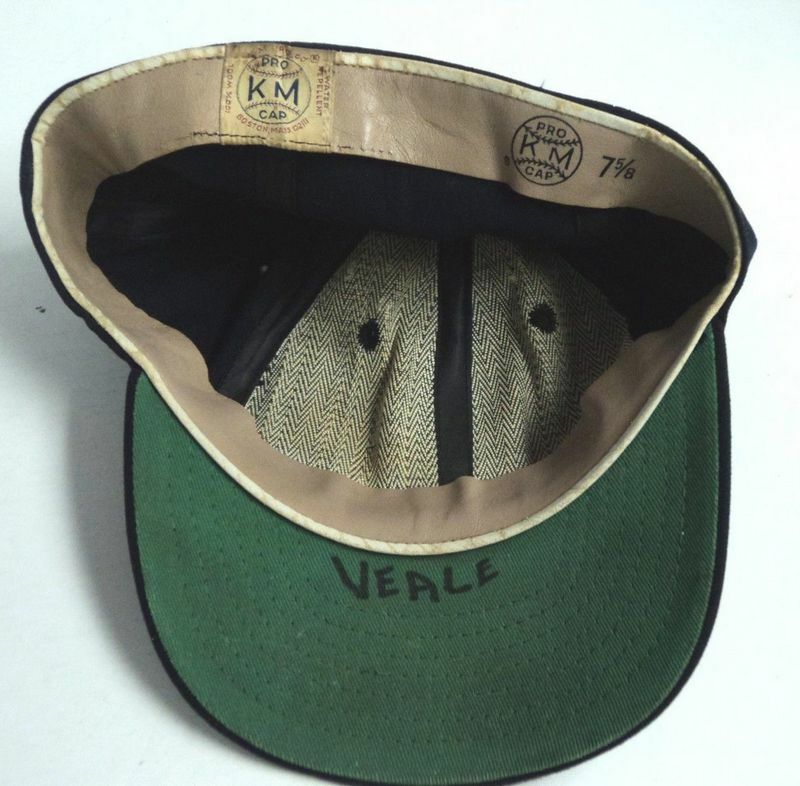 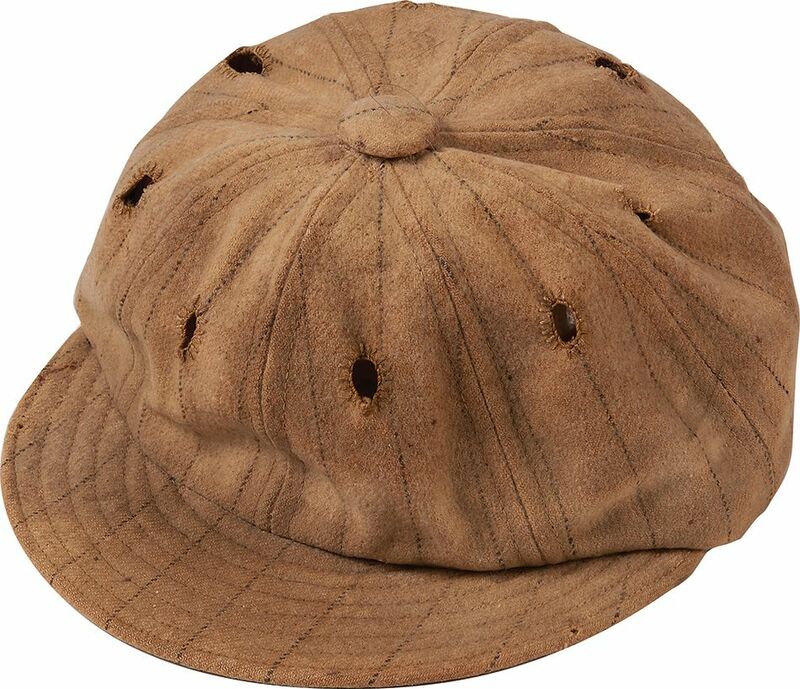 This Horace Partidge cap was made by Leslie. 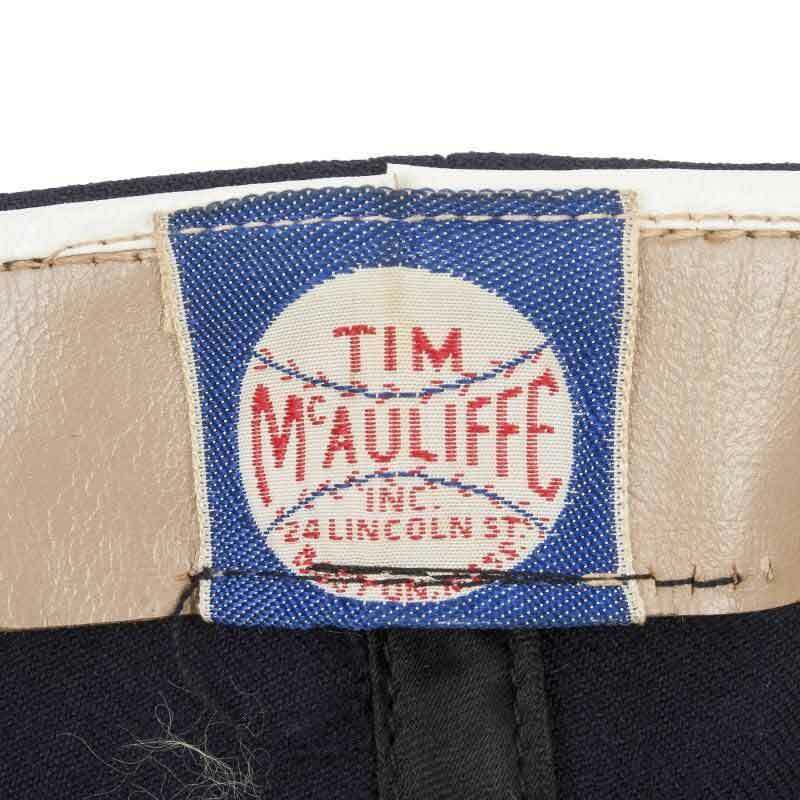 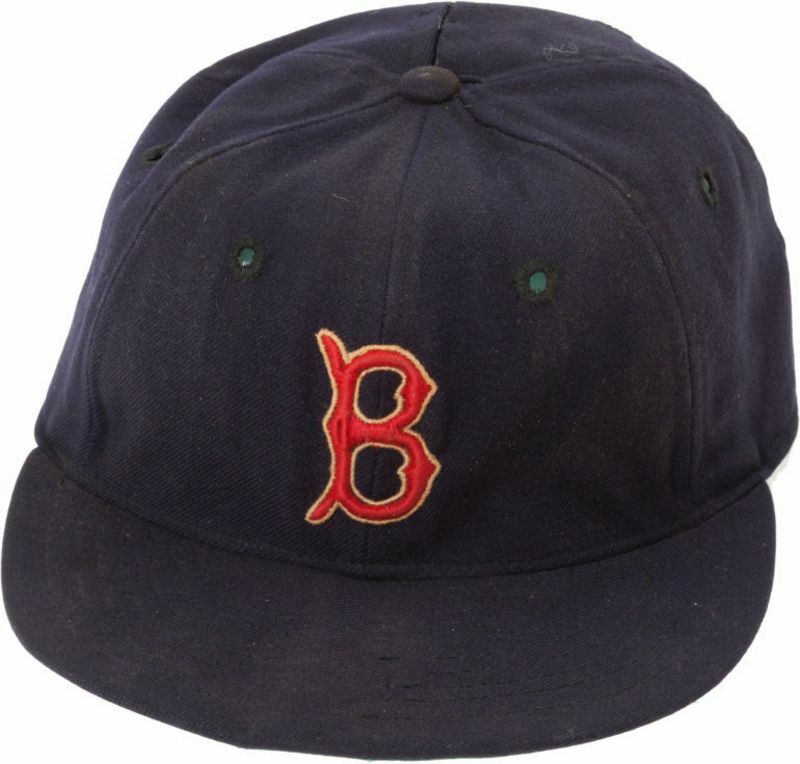 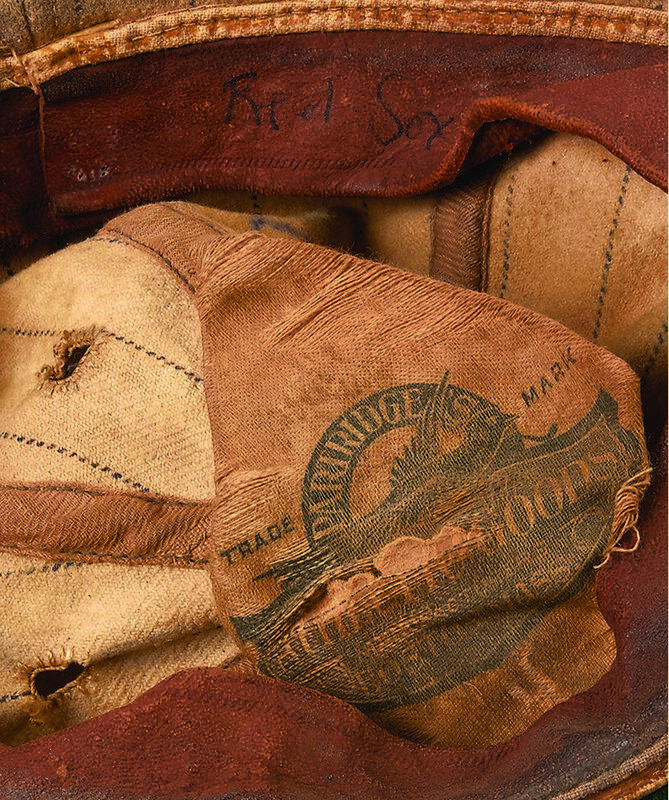 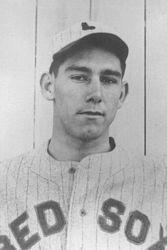 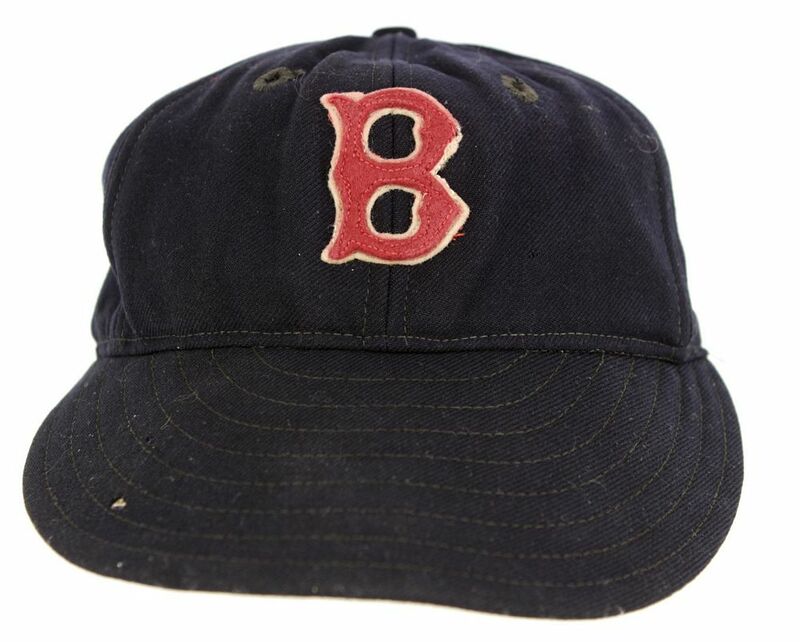 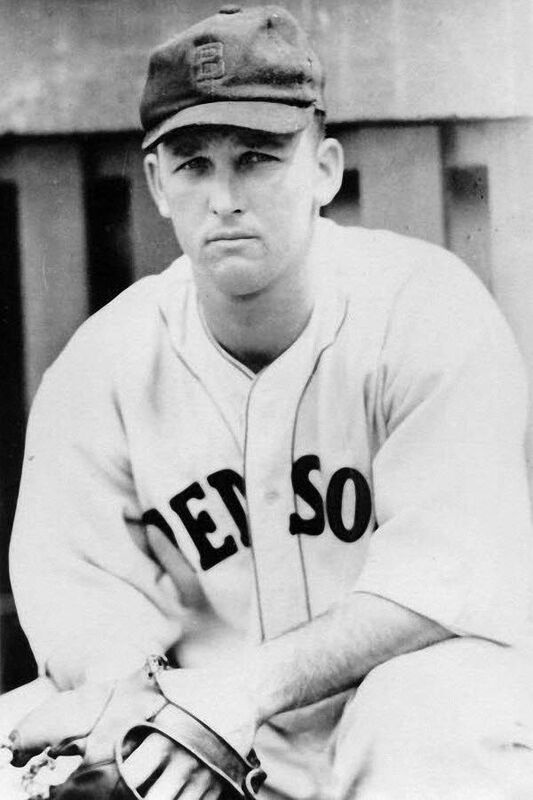 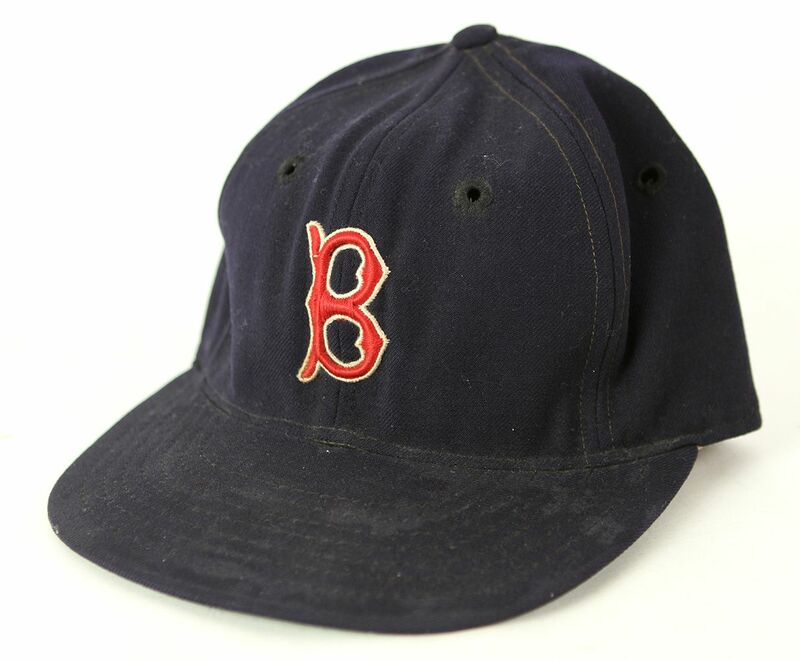 Not sure if the team wore them but Partridge was a Red Sox distributor into the early 50's even as most of their gear eas supplied by Tim McAuliffe by then. The B gets a bit thinner especially the middle and bottom. 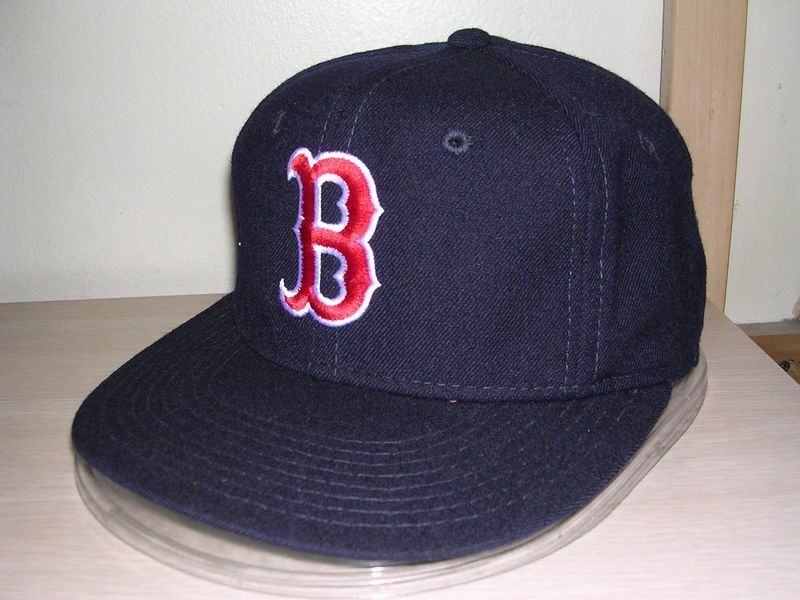 The B becomes narrow and is embroidered for the first time. 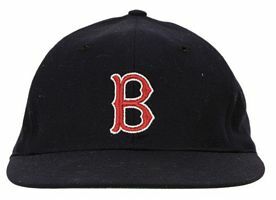 Serifs on the B become much shorter. 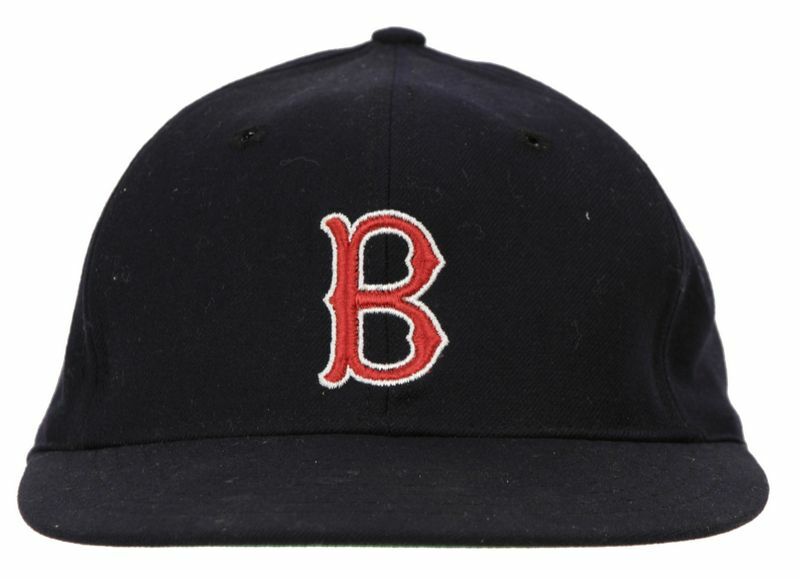 The B becomes a bit narrower and the serifs lengthen again. A new red front panel alternate introduced in 1974 is used daily by mid-season. 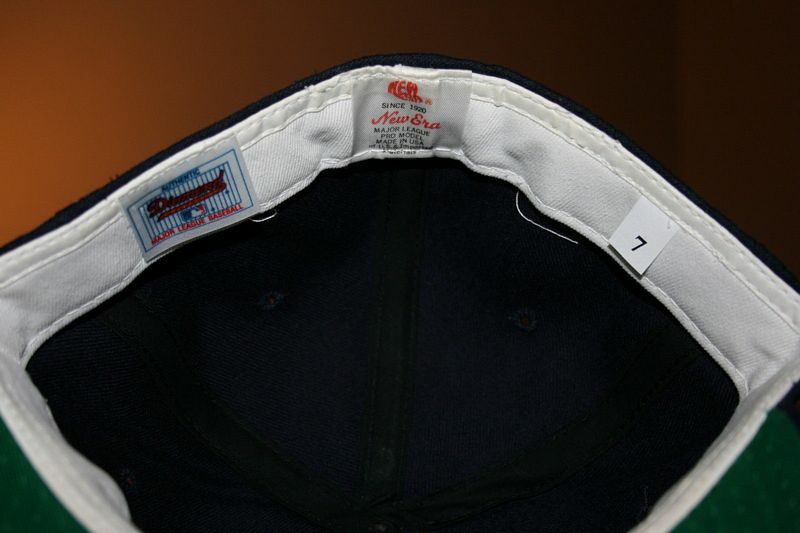 Both navy and red front caps disappear after spring training. Caps go all red. 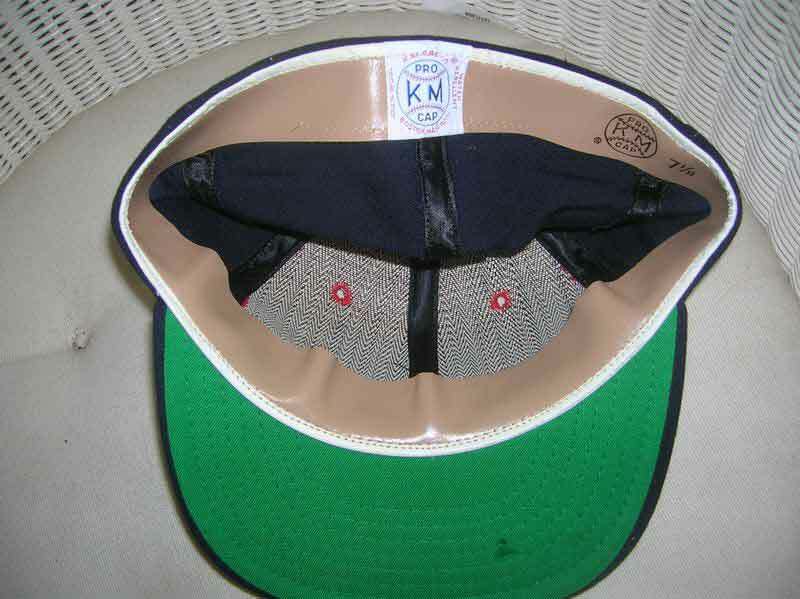 KM Pro stops using Roman Art for logos, which get thicker. The demise of KM Pro brings in Roman Pro, and the logo gets thin again. 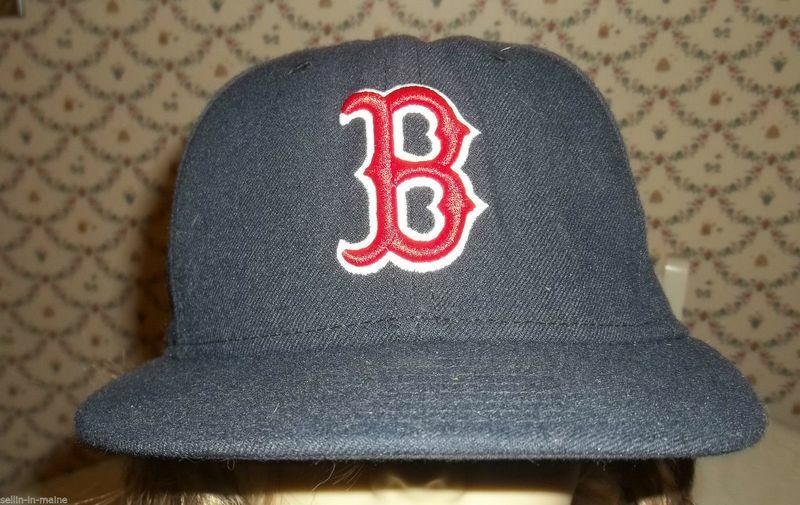 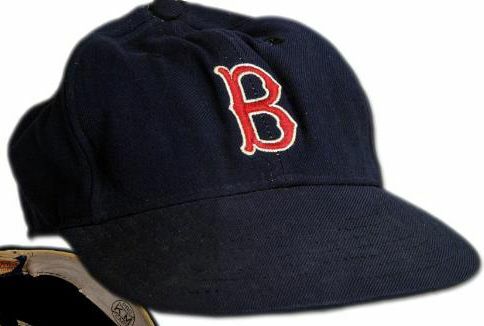 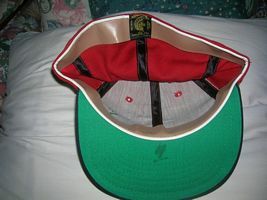 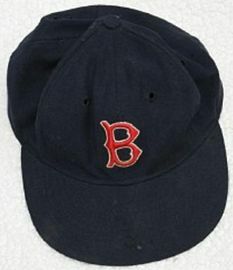 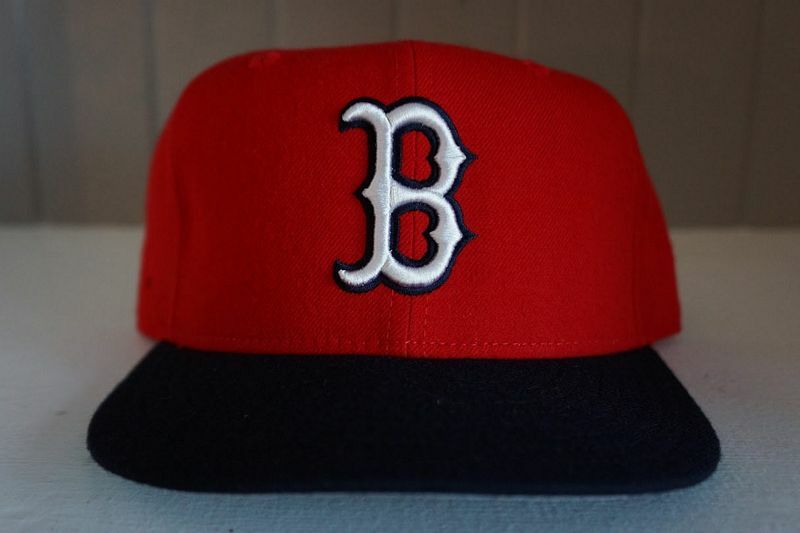 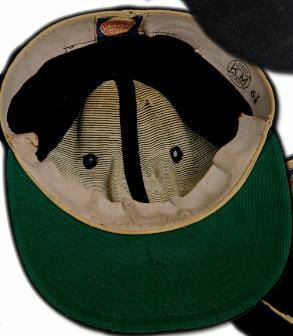 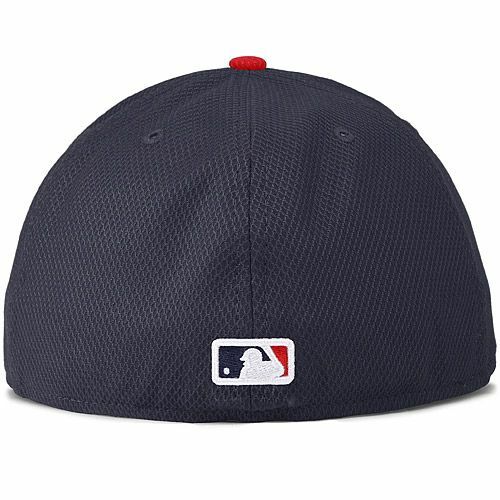 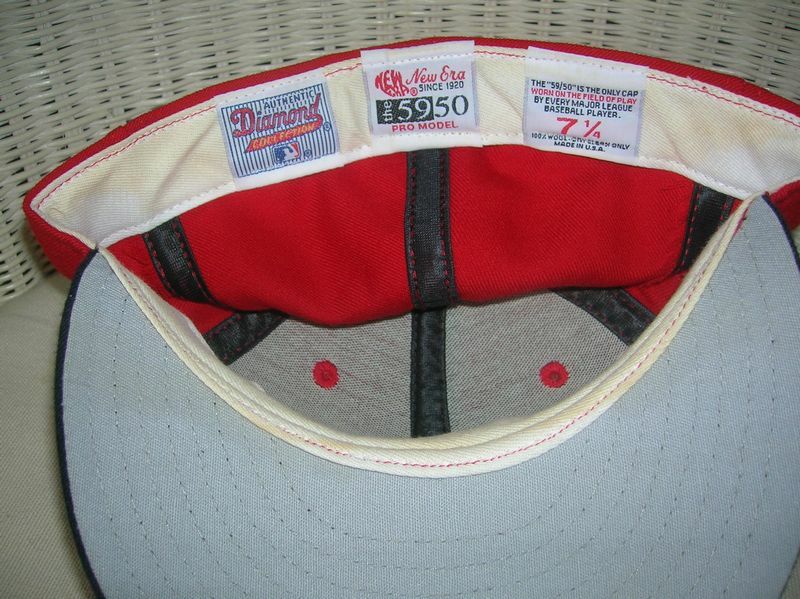 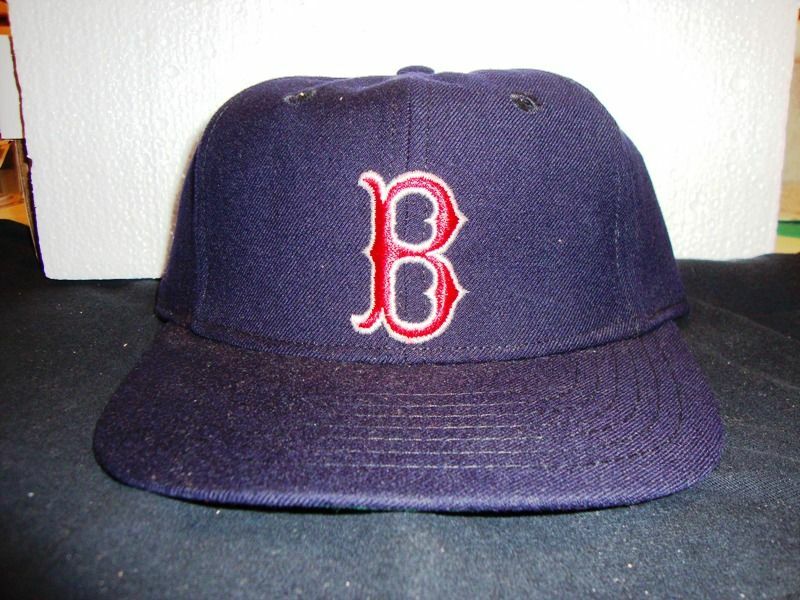 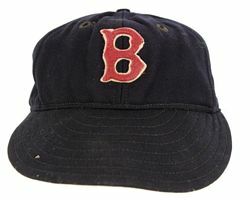 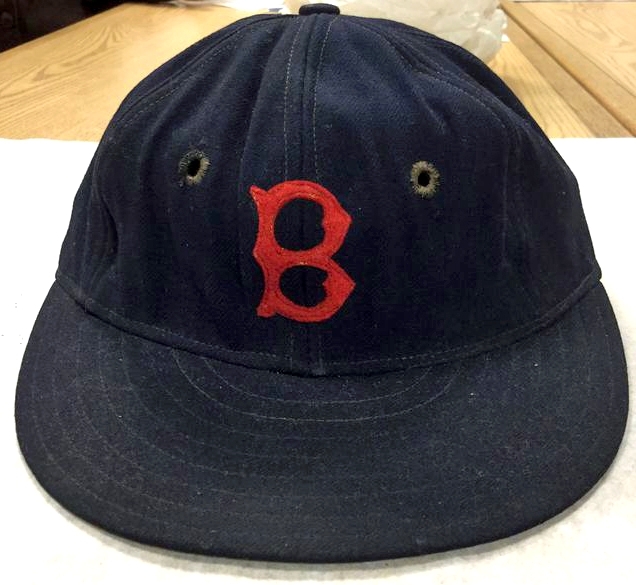 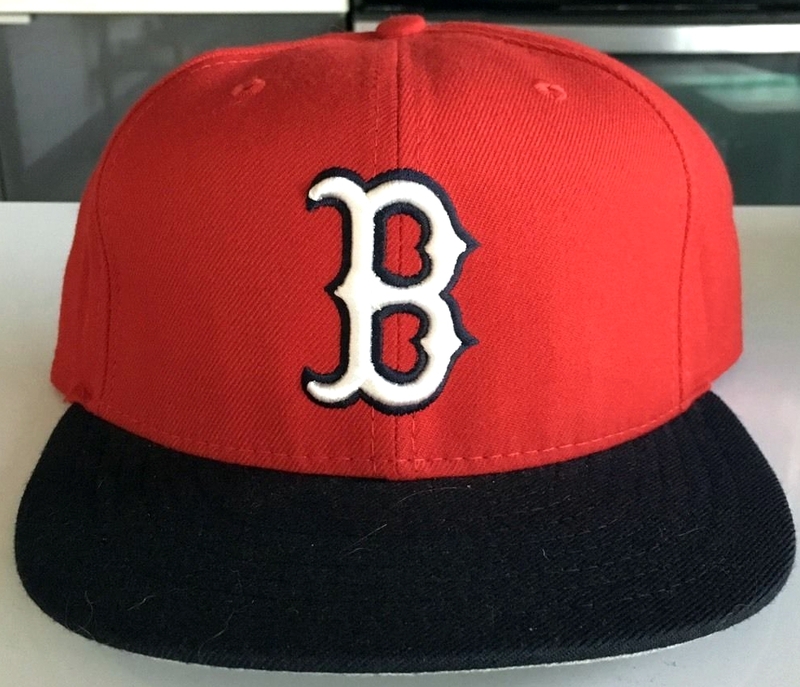 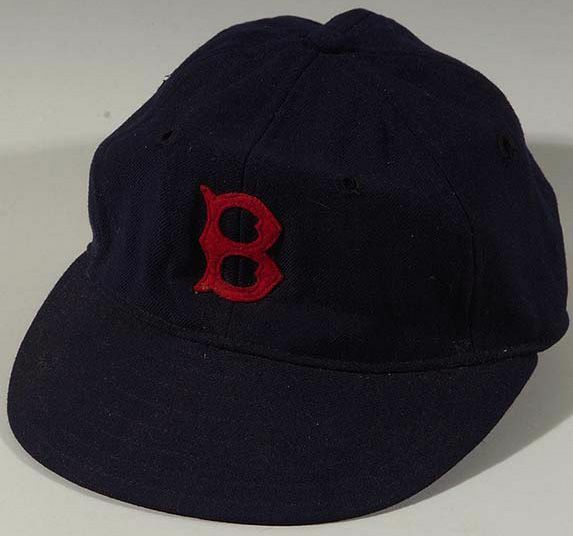 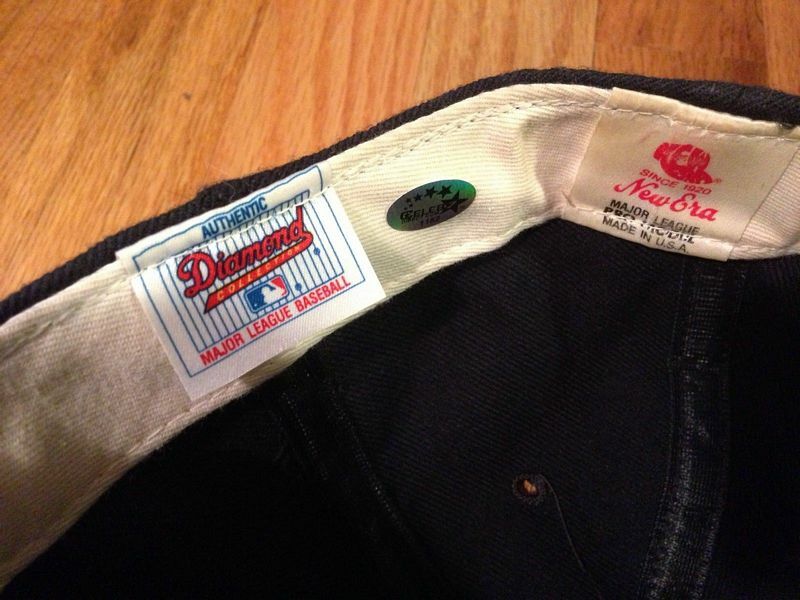 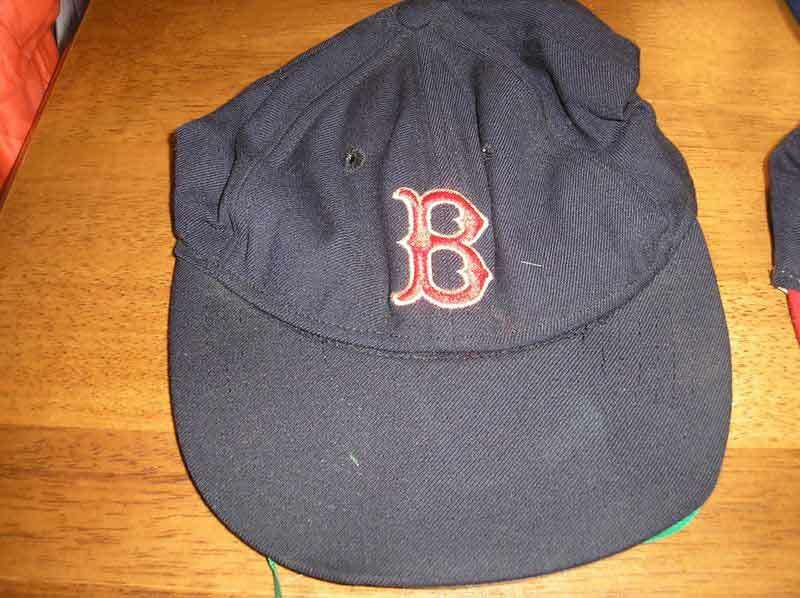 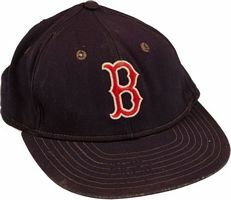 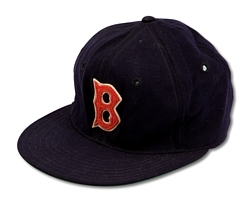 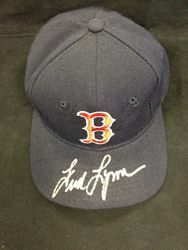 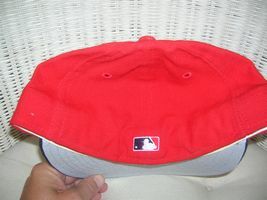 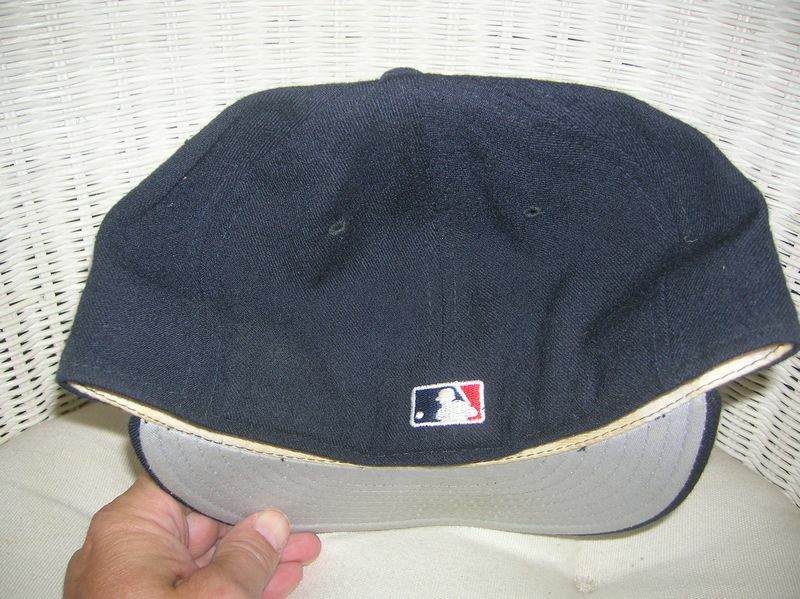 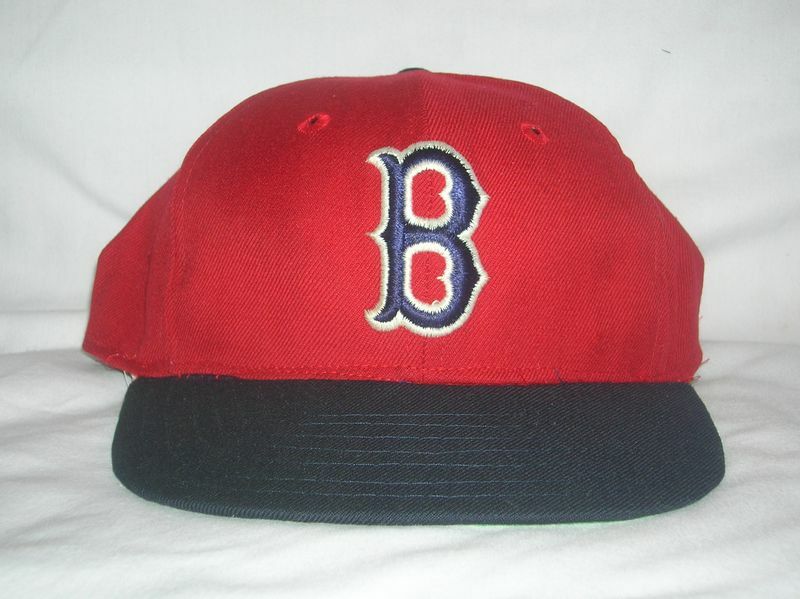 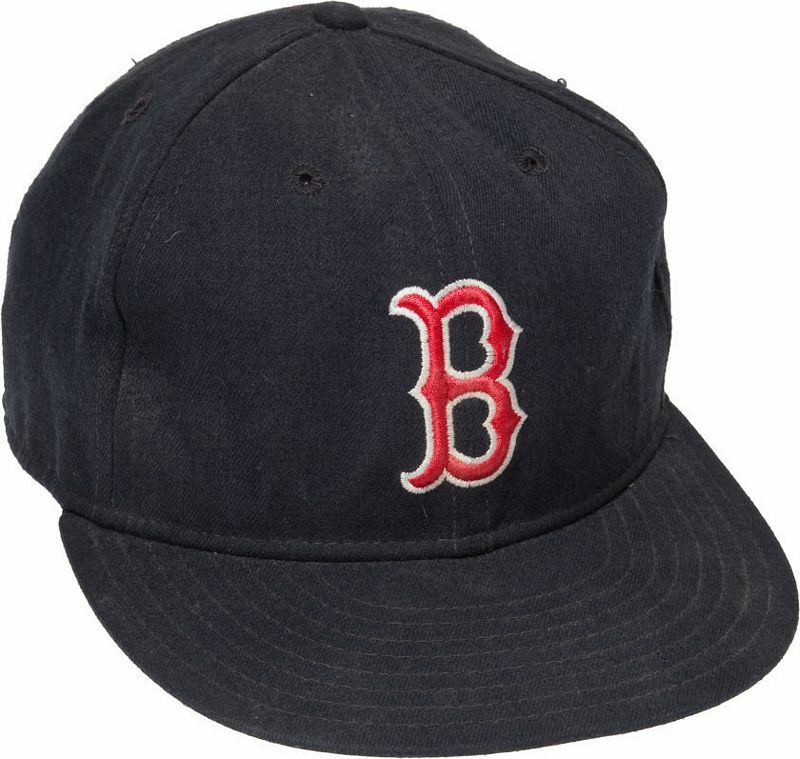 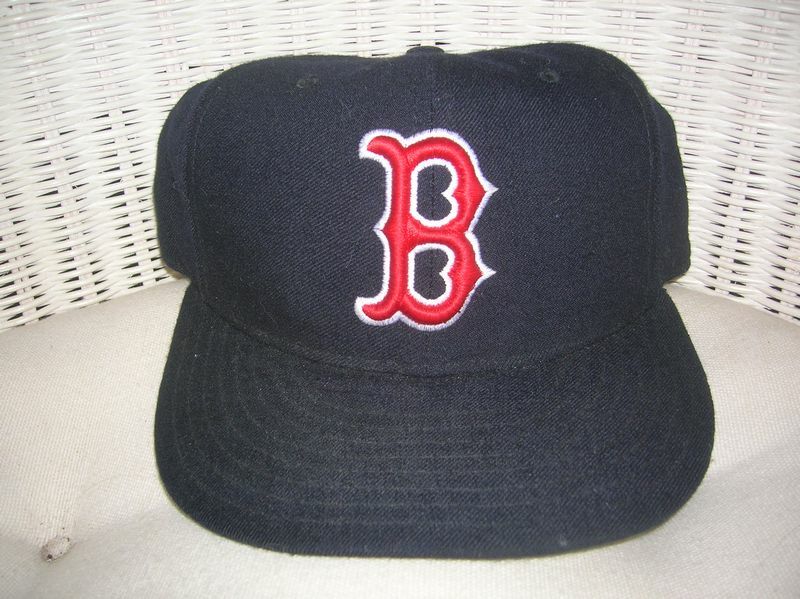 There are New Era red caps too but I don't believe the Sox wore those - anyone know for sure? 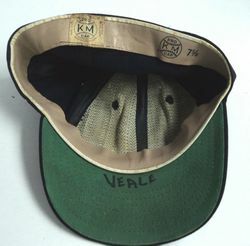 Devon was one of the companies founded by buying some KM Pro equipment after KM failed in 1976 (Roman Pro being the other). 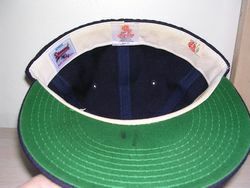 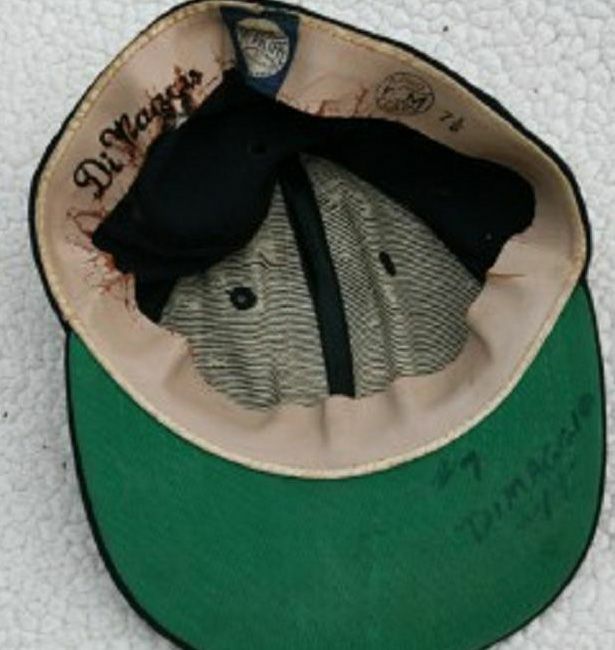 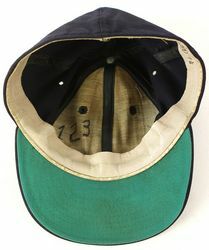 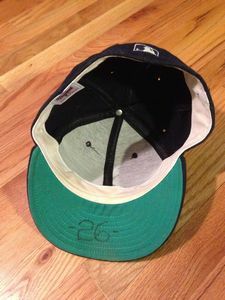 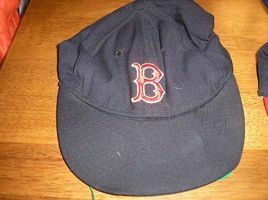 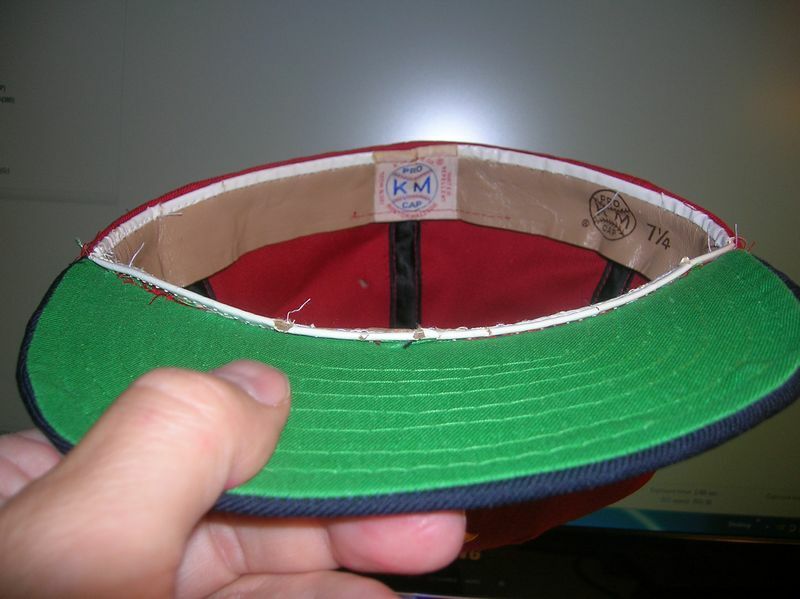 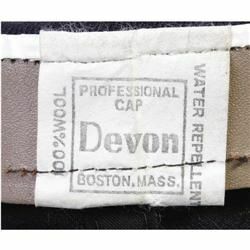 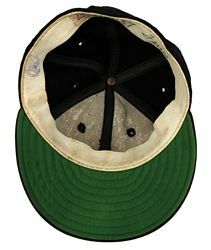 Devon caps were used to 1987. 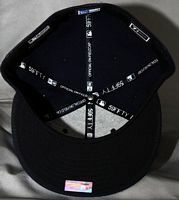 Caps return to navy. 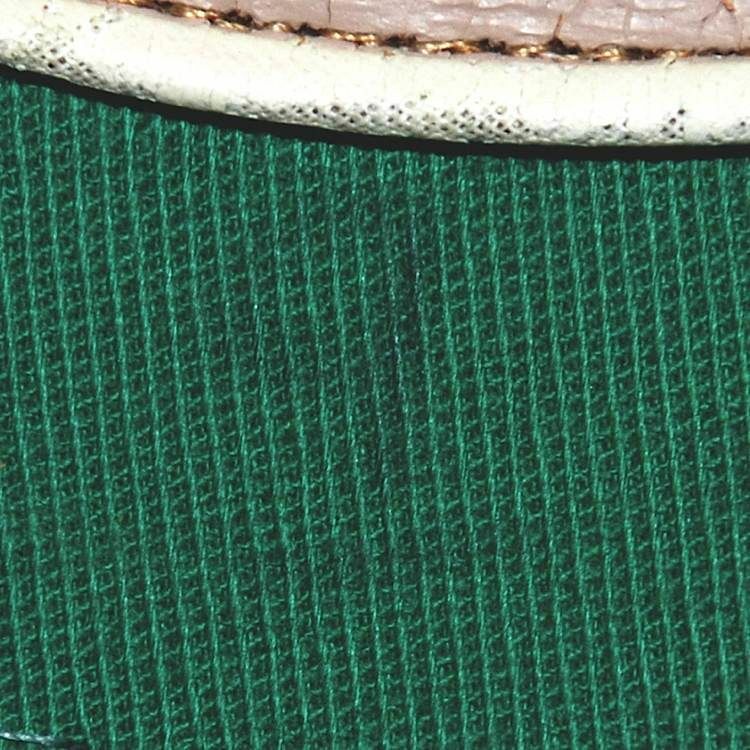 The logo gets thicker. 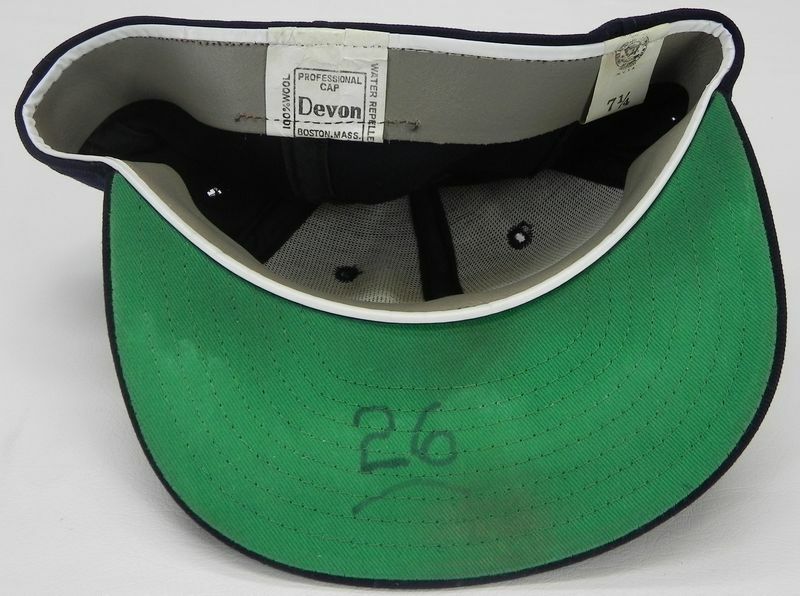 Devon is bought by Twins Enterprises, and though I've been told some players try them out briefly I've never seen a Twins gamer. 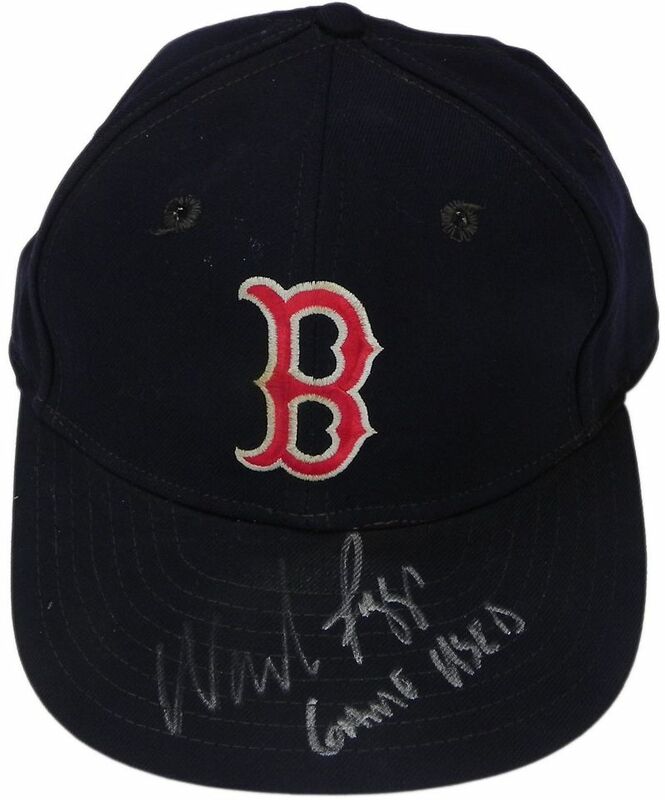 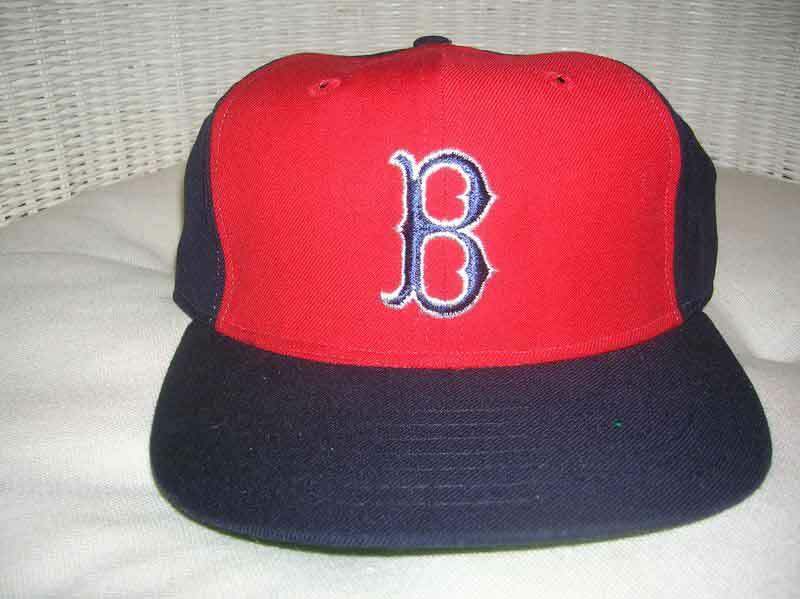 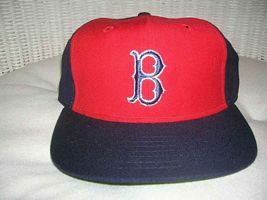 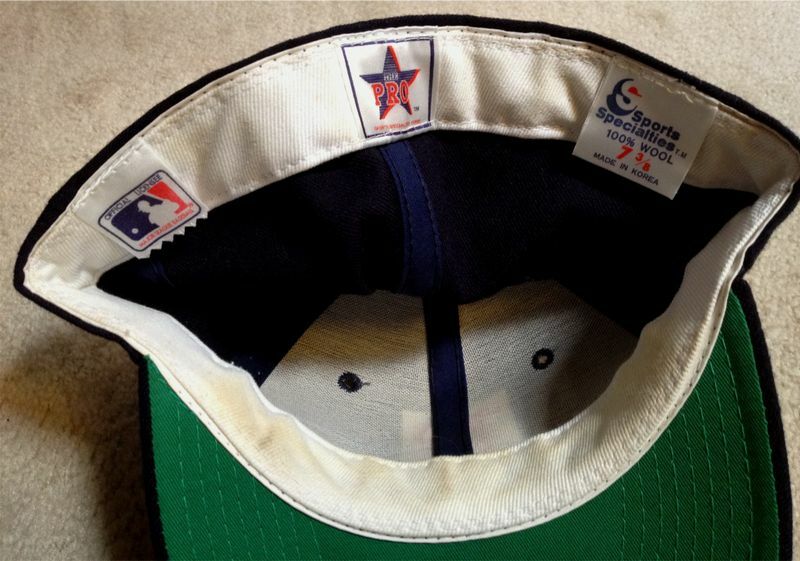 Around 1986 the Sox start using both New Era and Sports Specialties. 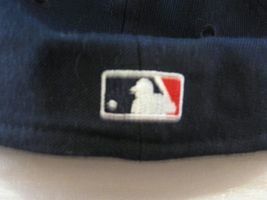 Serifs are longer, and SS caps have raised embroidery, at least at first. 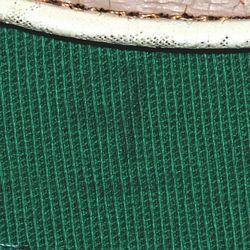 MLB Batterman logo initially appears as a glued on patch in 1992 then is embroidered on later in the year as a single color, then later in team colors. 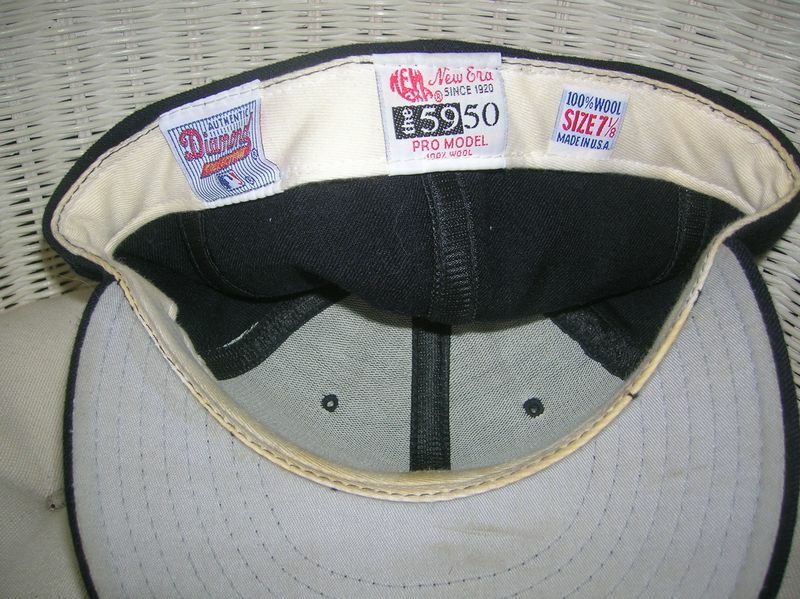 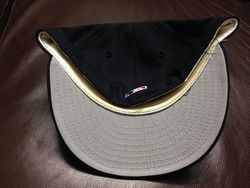 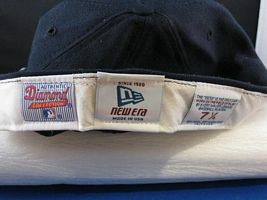 Grey undervisors debut in 1993, and embroidery is raised. 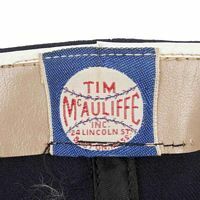 The serifs are lengthened once again. 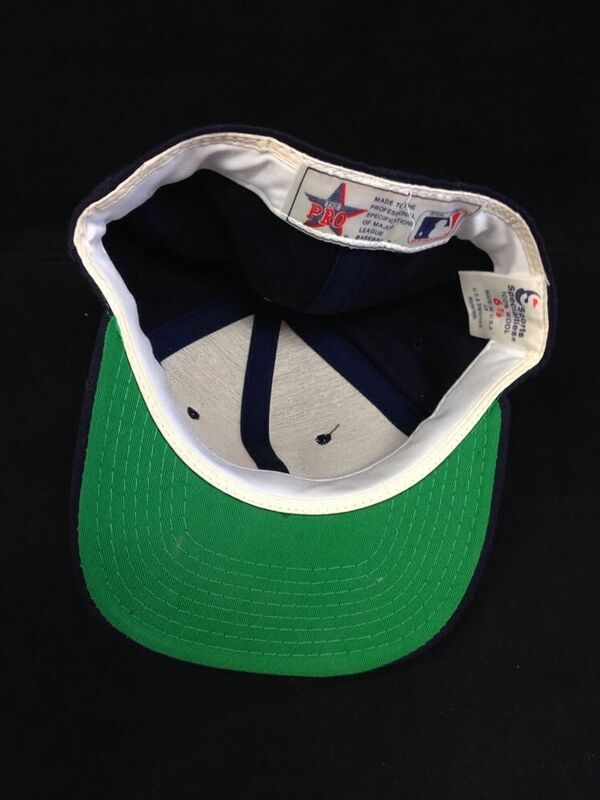 The Sox trot out not one but two alternate caps in 1997. 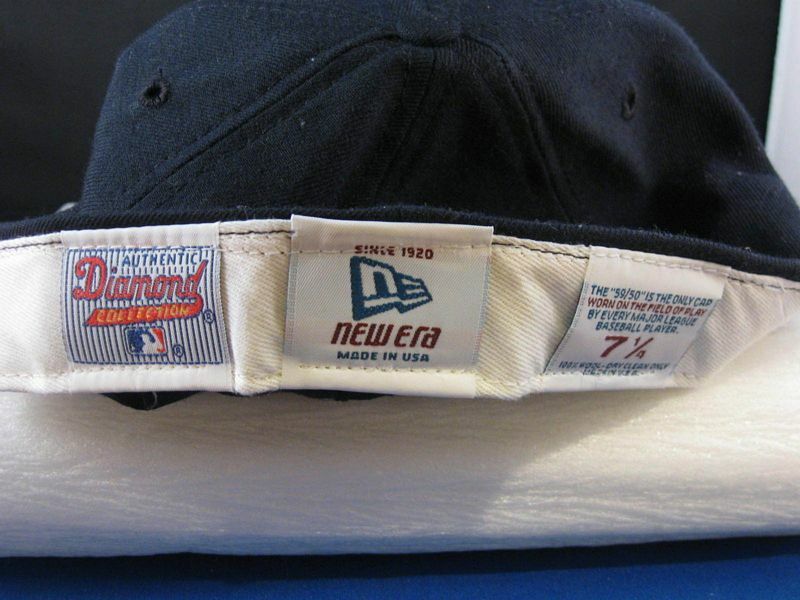 Both are shelved almost instantly, but remain official alternates through 2000. 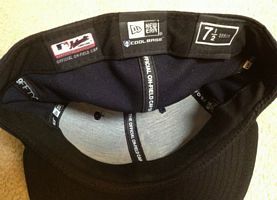 Polyester caps and black underbrims debut. 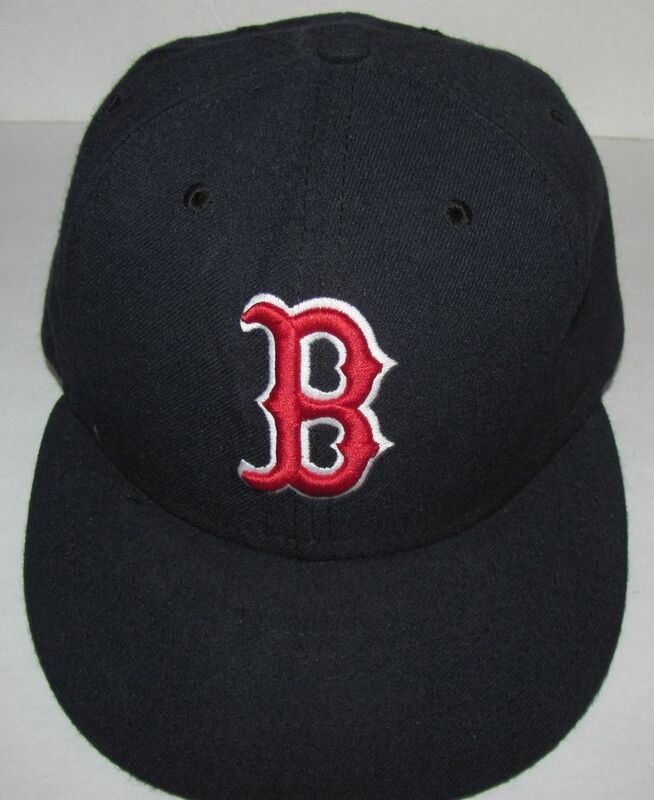 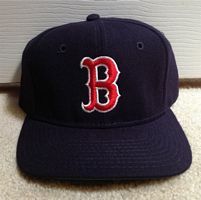 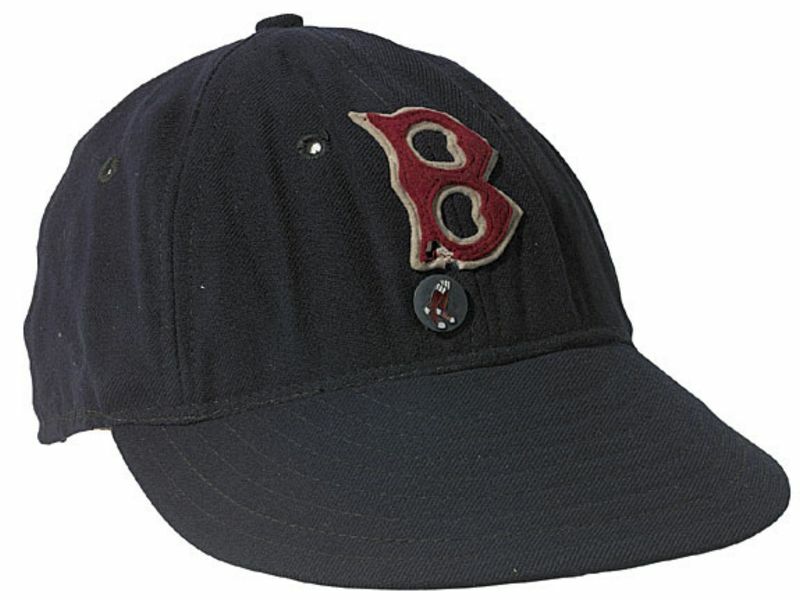 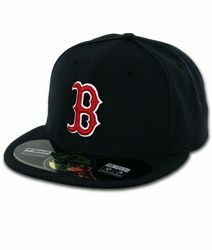 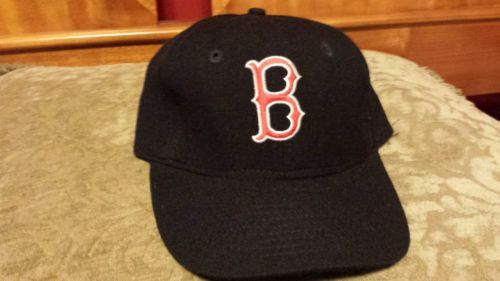 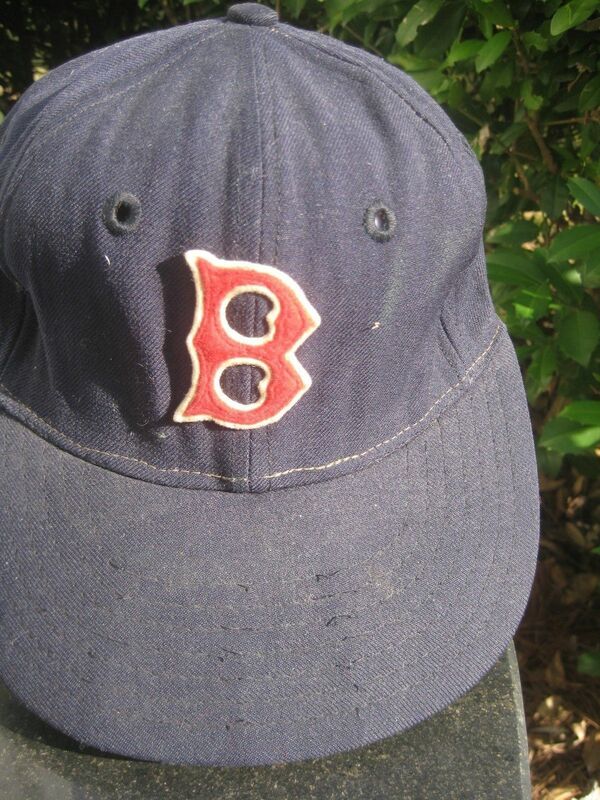 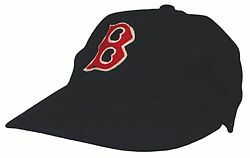 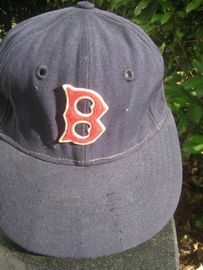 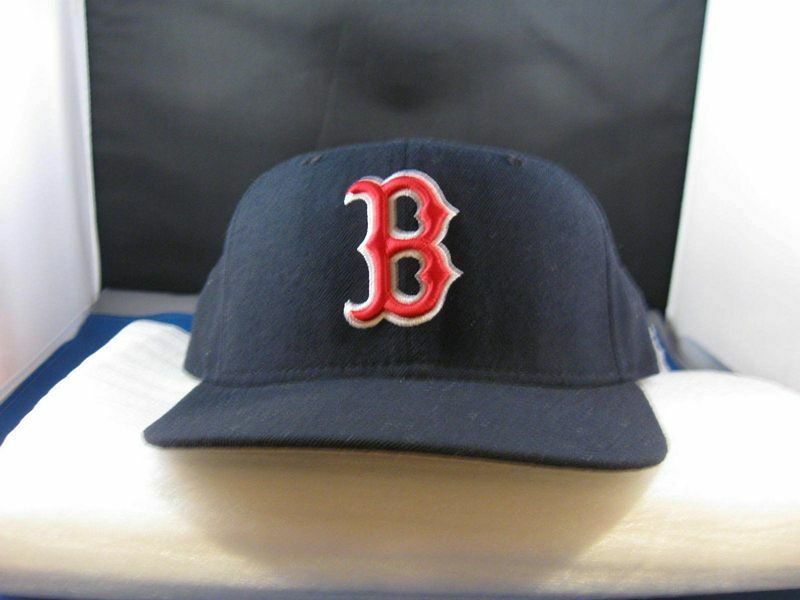 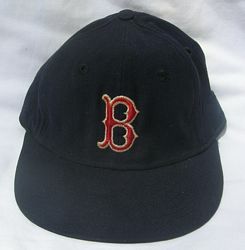 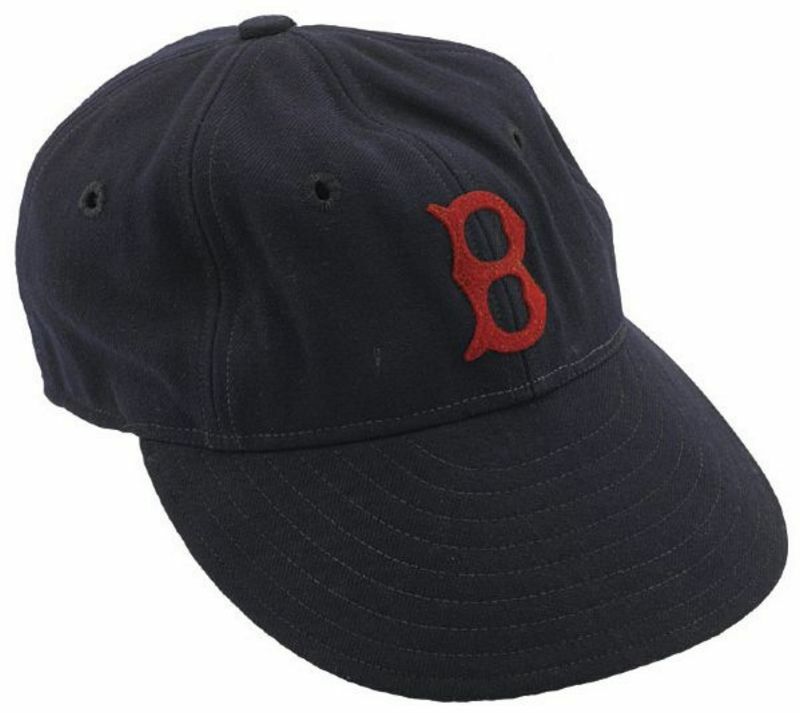 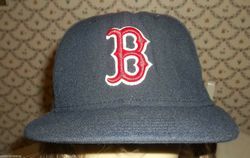 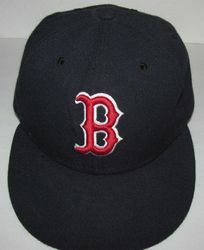 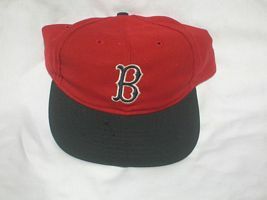 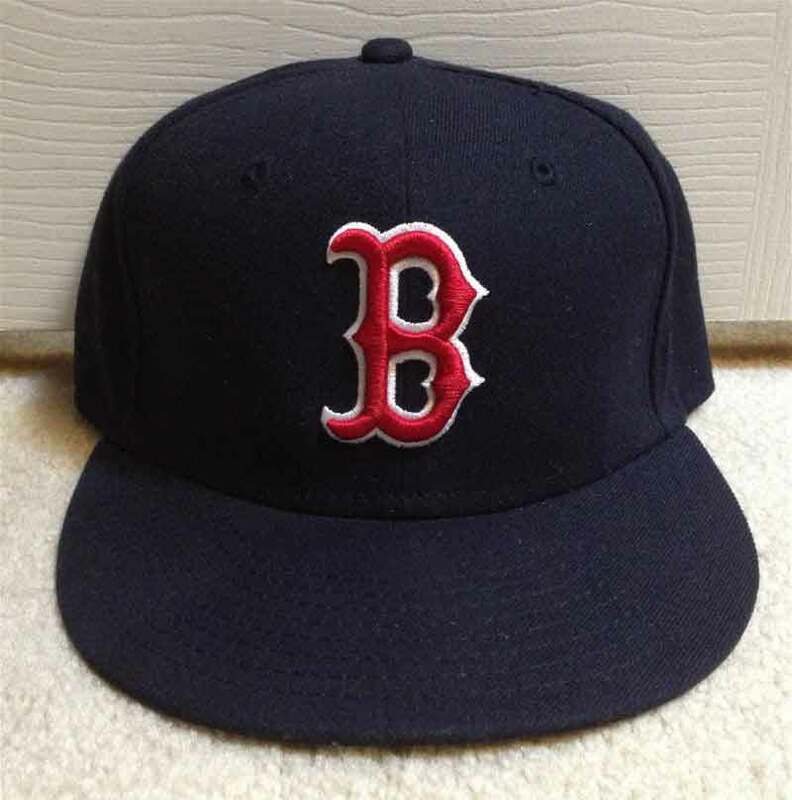 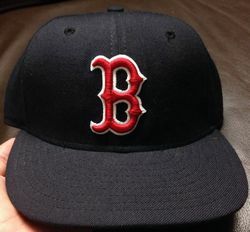 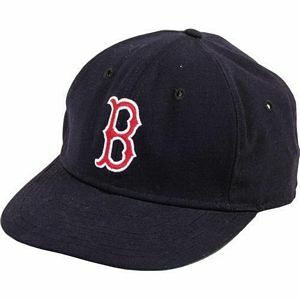 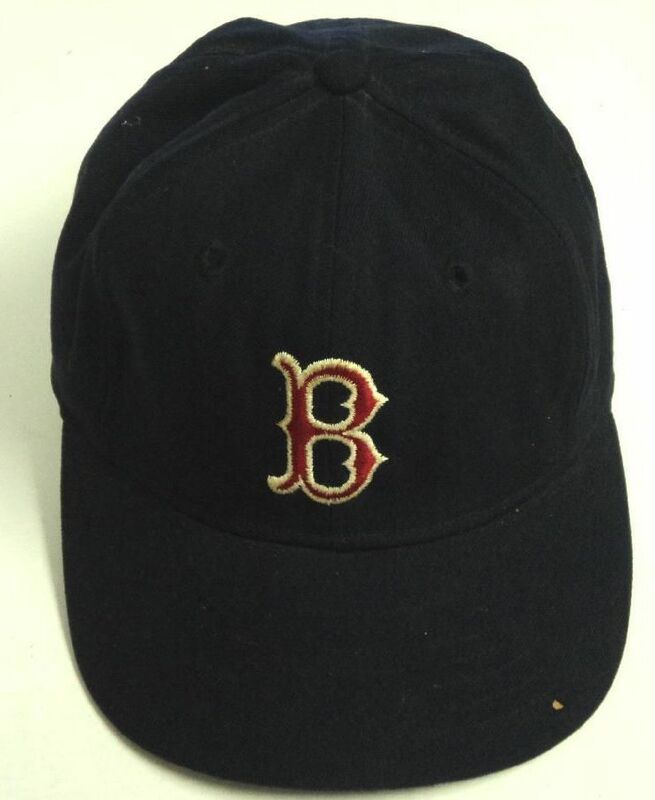 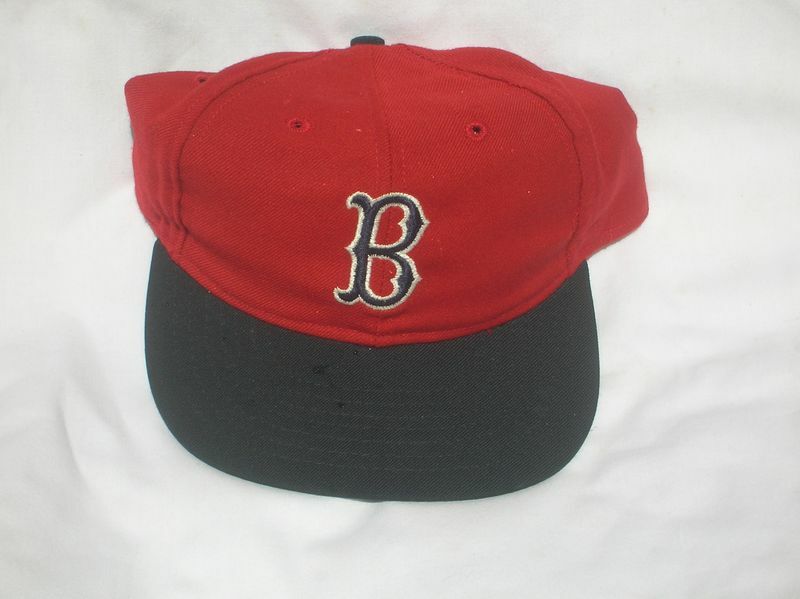 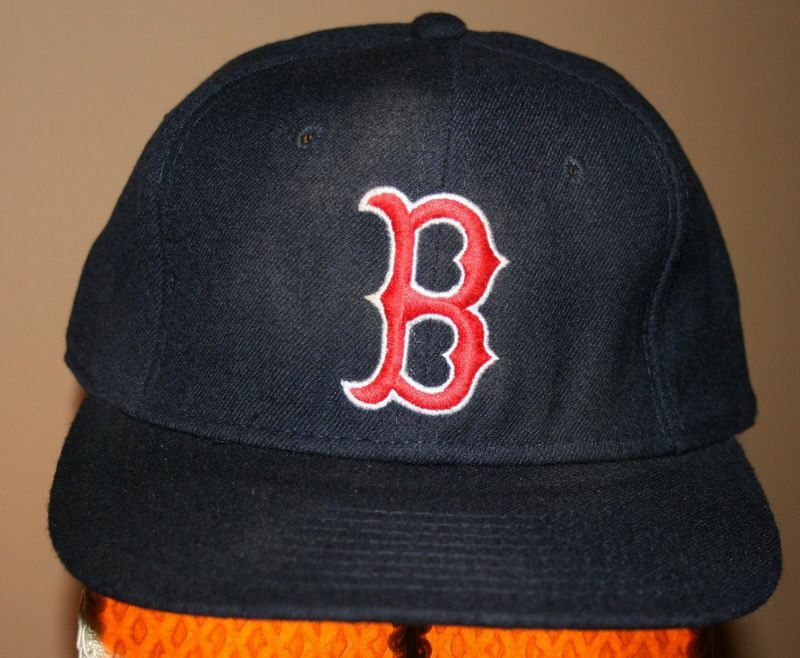 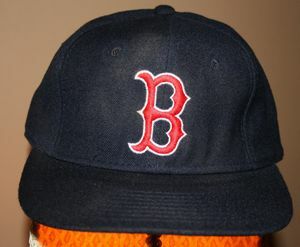 For 2009 the Sox wear an alternate cap with a red stocking logo. 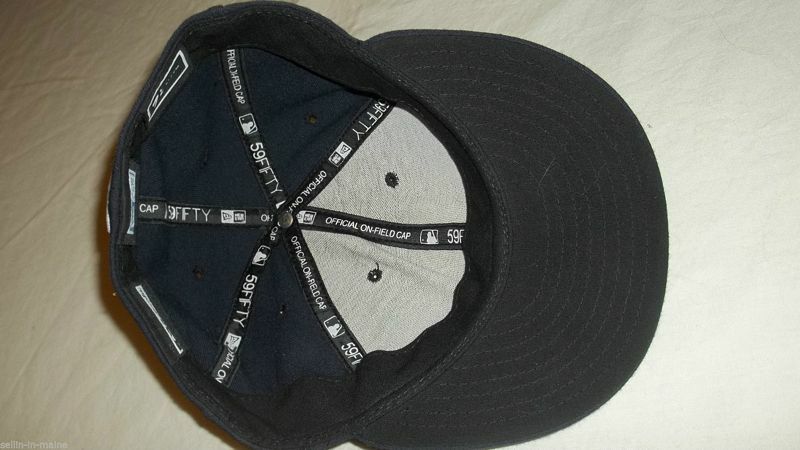 Though the cap isn't worn after 2009 it remains an official alternate. Alternate cap with a red stocking logo no longer used but remains an official alternate. 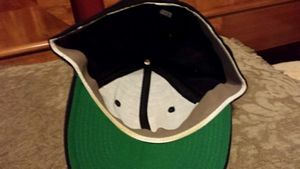 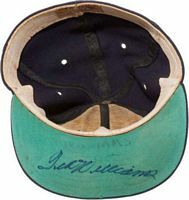 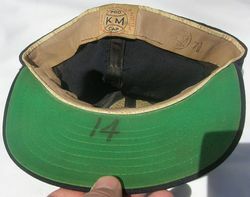 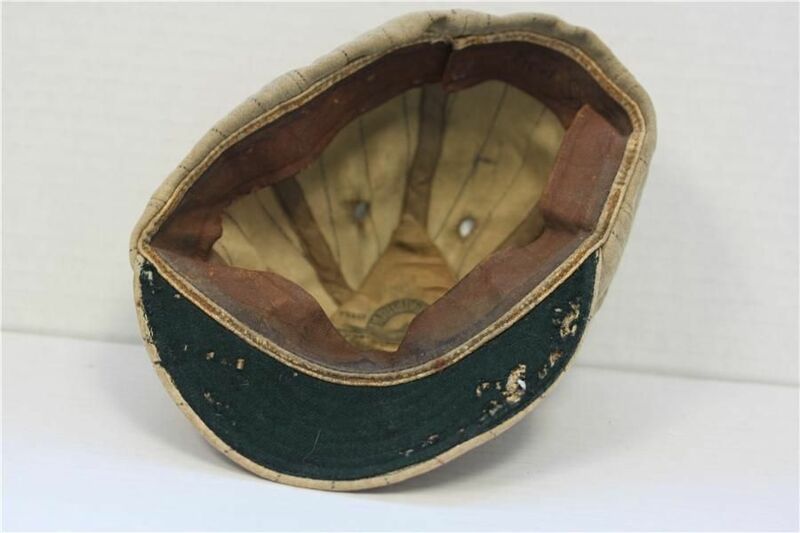 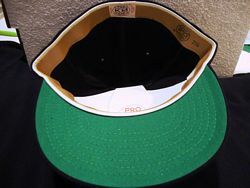 BP cap used a few times.